Raees al-Ulama, Taaj al-Atqiya, Shaykhul Muhaditheen, Hujjat al-Islam Hadrat Allama Mawlana Hamid Raza Khan Radi ALLAHu Ta’ala Anho is the fortieth Imam and Shaykh of the Silsila Aaliyah Qadiriyah Barakatiyah Razaviyah Nooriyah. According to the family tradition, he was given the name Muhammed during his Aqeeqa, the value of which in Arabic numerals is nine two. His was affectionately called Hamid Raza, and his title is Hujjat-ul-Islam. 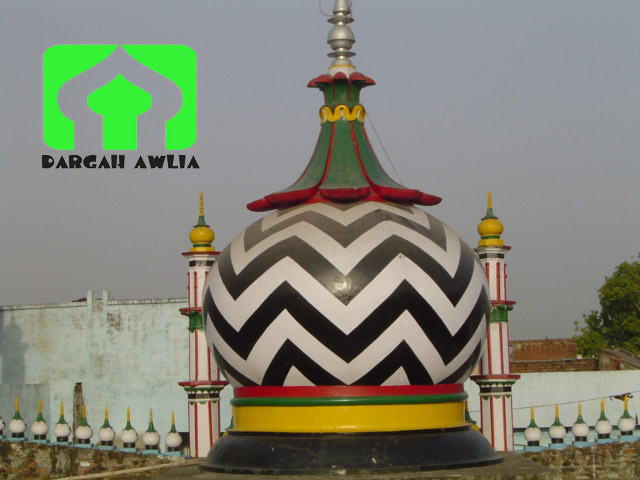 Hujjatul Islam Radi ALLAHu Ta’ala Anho is the son of the Mujjadid of the fourteenth Century, A’la Hadrat Ash Shah Imam Ahmed Raza Khan Qaadiri Barakaati Radi ALLAHu Ta’ala Anho, who was the son of Hadrat Allama Maulana Naqi Ali Khan Radi ALLAHu Ta’ala Anho, who was the son of Maulana Raza Ali Khan Radi ALLAHu Ta’ala Anho. Hamid is from me and I am from Hamid. Hujjatul Islam Radi ALLAHu Ta’ala Anho was the Mureed and Khalifa of Noorul Aarifeen, Hadrat Sayyid Shah Abul Husain Ahmad-e-Noori Radi ALLAHu Ta’ala Anho. His Spiritual Master was from amongst the great Mashaa’ikh of Marehrah Mutaaharah. Hadrat Abul Husain Ahmad-e-Noori Radi ALLAHu Ta’ala Anho had immense love for his beloved disciple and guided him with his rays of spiritualism along the path of mysticism. Hadrat Noori Mian Radi ALLAHu Ta’ala Anho was the mureed and Khalifa of Khaatimul Aakabir Hadrat Sayyid Shah Aale Rasool Marehrwi Radi ALLAHu Ta’ala Anho who was the Peer-o-Murshid of A’la Hadrat, Azeemul Barkat Radi ALLAHu Ta’ala Anho. He was also blessed with Khilafat by his father Sayyiduna A’la Hadrat Radi ALLAHu Ta’ala Anho. Hujjatul Islam Radi ALLAHu Ta’ala Anho was a very handsome personality. He was very fair in complexion and his face shone like a bright light. All those who saw him could not compare him to others they had seen. “Haaza Hujjatul Islam” meaning, “This is the Proof of Islam”. He was the combination of many inner spiritual qualities. He was not only a great scholar, but he was the best teacher of his time. He was famous for his lectures on the topics of Hadith and Tafseer. He held a unique position in the command of the Arabic Language. He was an excellent poet and his poetry was pure and gentle. His poems (Naats) were written in the deep love of the Holy Prophet Muhammed Mustafa SallAllahu ‘Alaihi wa Aalihi wa Sallam. He served the Maslak-e-Ahle Sunnat, and the Silsila-e-Aaliyah Qaaderiyah Barakaatiyah Razviyah with complete sincerity and humility. He spent his entire life in striving for the upliftment of the Muslim Ummah. Hujjatul Islam Radi ALLAHu Ta’ala Anho was a bright example of his pious predecessors and his illustrious forefathers. He possessed a beautiful character and all good habits. He was a very pleasant and gentle person, and would always smile when he spoke to anyone. His respect for the elders and love for children was one of his blessed qualities. He always lowered his gaze when in conversation, or when walking in the street. He spent most of his time in the recitation of Durood Shareef, and it was for this reason, that many had witnessed him recite Durood aloud even when he was asleep. Hujjatul Islam Radi ALLAHu Ta’ala Anho, like his blessed father strongly opposed the British and their allies. He was always firm in his belief and never compromised his principles, which were based on the Quran and Hadith. Hujjatul Islam Radi ALLAHu Ta’ala Anho was a radiant personality. Likewise, his character was also admirable. He was exemplary in every way, be it in looks, habits, character, knowledge, piety, actions and in words. He was always generous and merciful. Not only did those who knew him praise his character, but those who opposed him were also forced to accept the blessed nature of his character. Even though he was very gentle and kind, he became very firm and strong against those who insulted Allah and His Rasool SallAllahu ‘Alaihi wa Aalihi wa Sallam. For those who were true servants of Allah and His Rasool SallAllahu ‘Alaihi wa Aalihi wa Sallam, he was like a rose, which brings pleasure at all times, and for the enemy of Allah and His Rasool SallAllahu ‘Alaihi wa Aalihi wa Sallam he was a naked sword. Hujjatul Islam Radi ALLAHu Ta’ala Anho was an excellent example of “Al Hubbu Lil Laahi Wal Bughzu fillah” (Love for the sake of Allah and Hate for the sake of Allah) and “Firm against the disbelievers and gentle towards your own”. Hujjatul Islam Radi ALLAHu Ta’ala Anho showed much love and gentleness towards his students and disciples, and every one of his mureeds felt that he was the most loved of Hujjatul Islam’s mureeds. Once Hujjatul Islam Radi ALLAHu Ta’ala Anho had just arrived home from a lengthy train journey and was still seated on the carriage on which he arrived. A person who lived in Biharipur Bareilly arrived and mentioned that his elder brother was a mureed of Hadrat and he was very ill and was wishing to see his Peer. The person mentioned to Hujjatul Islam Radi ALLAHu Ta’ala Anho that he had come to Hadrat’s home for many days and then left sadly when he was told that Hadrat was out on a journey and had not yet arrived. When Hujjatul Islam Radi ALLAHu Ta’ala Anho heard this, he did not even get off the carriage, but summoned his younger son Hadrat Nu’mani Mian Radi ALLAHu Ta’ala Anho and asked him to remove the luggage. He then told him to inform all at Hadrat=s home that he was on his way to visit a sick person. With this, he immediately went to the home of his ailing mureed and comforted him in his time of ailment and need. Subhaanallah! On another occasion, one of the mureeds of Hujjatul Islam Radi ALLAHu Ta’ala Anho who was a loyal disciple but possessed a bad temper had invited Hadrat to his home for a meal. Due to unforeseen circumstances, Hujjatul Islam Radi ALLAHu Ta’ala Anho was delayed and reached the home of the mureed, which was in Banarus, after quite some time. The mureed who saw that Hadrat had not come to his invitation became upset, and locked the door of his home and left with his family. When Hadrat arrived, he saw that the door of the house was locked and the people of the house were away. Any other person would be annoyed at this type of behavior of a mureed, but Hujjatul Islam Radi ALLAHu Ta’ala Anho knew the disposition of his disciple and without even the slightest disappointment or anger, Hujjatul Islam Radi ALLAHu Ta’ala Anho returned home with a smile on his face. After sometime, when Hujjatul Islam Radi ALLAHu Ta’ala Anho met this mureed, and the disciple showed his dissatisfaction, Hujjatul Islam Radi ALLAHu Ta’ala Anho still spoke to him with love and apologized for the inconvenience. The mureed on seeing the humbleness of his Master immediately humbled himself in the Court of his Sheikh and showed more respect and love than ever. SubhaanAllah! The above mentioned incidents verily open the chambers of the heart and soul, bringing freshness to our Imaan. Hujjatul Islam Radi ALLAHu Ta’ala Anho loved both the young and the elderly dearly. He showed deep respect for the learned scholars as we have learnt from Qutbe Madinah Radi ALLAHu Ta’ala Anho. From amongst the Ulama, he had much respect for Hadrat Ashrafi Mian, Sadrul Afaadhil Maulana Naeemudeen Muradabaadi, Sadrush Shariah Maulana Amjad Ali Razvi, Sher Bashai Ahle Sunnat Maulana Hashmat Ali Khan, and his son-in-law and Khalifa Maulana Taqadus Ali Khan Radi ALLAHu Ta’ala Anho. He also had great respect for Haafiz-e-Millat Maulana Shah Hafiz Abdul Aziz Radi ALLAHu Ta’ala Anho, who was the founder and Rector of Al Jamiatul Ashrafiyah Arabic University (Mubarakpur). It was on the invitation of Huzoor Hafiz-e-Millat Radi ALLAHu Ta’ala Anho that Hujjatul Islam Radi ALLAHu Ta’ala Anho made his first visit to Al Jamiatul Ashrafiyah accompanied by his younger son Hadrat Nu’mani Mian Radi ALLAHu Ta’ala Anho in 1334 Hijri. Huzoor Hujjatul Islam Radi ALLAHu Ta’ala Anho was a very pious and Allah fearing personality. Whenever he gained any free time from his propagation and other works, he spent this time in the Remembrance of Allah (Zikrullah) and in sending Durood and Salaams upon the Holy Prophet Muhammed Mustafa SallAllahu ‘Alaihi wa Aalihi wa Sallam. Once there was an abscess on his body, that was very painful and according to the advice of the doctors, needed to be removed. The doctor who was to do the procedure informed Hujjatul Islam Radi ALLAHu Ta’ala Anho that he needed to give him anaesthetic, so that the procedure could be done. Hujjatul Islam Radi ALLAHu Ta’ala Anho refused to take any type of anaesthetic or anything to even numb the area of the operation by saying that he was not prepared to allow anything with alcohol into or on his body. The doctor informed Hadrat that there was no other way to do the procedure, as the absence of anaesthetic would cause him unbearable pain during the procedure. The procedure was finally performed, lasting more than an hour, without any anaesthetic. Huzoor Hujjatul Islam Radi ALLAHu Ta’ala Anho during this time did not show any signs of discomfort and passed through the entire procedure reciting Durood-e-Paak. After the procedure, the doctor was completely impressed by the firmness and Taqwa (piety) of Hujjatul Islam Radi ALLAHu Ta’ala Anho. Allahu Akbar! Hujjatul Islam Radi ALLAHu Ta’ala Anho was a great orator, an admirable teacher and a learned Aalim. His life was spent in serving the Deen of Almighty Allah, by propagating Islam, Defending the Exalted pedestal of Prophethood and educating the Muslim masses in accordance with the Pristine teachings of the Quran and the Hadith. This was the real goal in his life. He lived for the sake of the Protection of Islam and Muslims. He passed from this mundane world, upholding the flag of Islam. He was a great teacher as he was taught by none other than his blessed father, Imam Ahmed Raza Khan Radi ALLAHu Ta’ala Anho who was proud of his blessed son. For the purpose of strengthening the Maslak-e-Ahle Sunnat Wal Jama’at, Hujjatul Islam travelled to every corner of his country teaching Muslims and instilling in them the Obedience of Allah and His Rasool SallAllahu ‘Alaihi wa Aalihi wa Sallam. He debated and refuted openly the Wahabis and all other false sects that were insulting Almighty Allah and His Rasool SallAllahu ‘Alaihi wa Aalihi wa Sallam. He saved the Muslim masses from the destructive forces of dubious politicians, and during the Shudhi Tahreek (A movement of the disbelievers to convert unsuspecting Muslims to disbelievers), he strongly opposed this movement and struggled for the protection of the Imaan of the Muslims. Almighty Allah had blessed Hujjatul Islam with the opportunity of visiting the Haramain Sharifain for the purpose of Hajj and Ziyaarah. He travelled for his first Hajj in 1323 B 1905 with his blessed father Imam Ahmed Raza Khan Radi ALLAHu Ta’ala Anho. This was an elevated Hajj for him, and was a journey of much learning and experience. It was during this Hajj, that he put together Ad Daulatul Makkiyah bil Maaddatil Ghaibiyyah, which was written on this journey by A’la Hadrat Radi ALLAHu Ta’ala Anho. The most important part of this journey was Hujjatul Islam’s Radi ALLAHu Ta’ala Anho visit to the Exalted Court of his and our Beloved Master, The means of Creation Hadrat Ahmad-e-Mujtaba Muhammed Mustafa SallAllahu ‘Alaihi wa Aalihi wa Sallam. He relished the opportunity to be present in the Court of Holy Prophet Muhammed SallAllahu ‘Alaihi wa Aalihi wa Sallam. Almighty Allah blessed Hujjatul Islam Radi ALLAHu Ta’ala Anho with his second Hajj in 1334 Hijri. His speech at the Muradabad Conference inspired the hearts of many. In reality what he did, was “to gather the ocean into a jar”, so that everybody understood the point that he was making in a simple fashion. Huzoor Hujjatul Islam Radi ALLAHu Ta’ala Anho loved the Holy Prophet SallAllahu ‘Alaihi wa Aalihi wa Sallam dearly and his every action was in accordance with the Sunnah of the Holy Prophet SallAllahu ‘Alaihi wa Aalihi wa Sallam. Indeed how could he not be a true devotee, when he was groomed at the feet of The Greatest Devotee of His time, Sayyiduna A’la Hadrat Radi ALLAHu Ta’ala Anho. His Haaziri at Madinatul Munawwarah was an important even in his life, when he had the opportunity of presenting himself before the Holy Prophet SallAllahu ‘Alaihi wa Aalihi wa Sallam. His love for the Holy Prophet SallAllahu ‘Alaihi wa Aalihi wa Sallam can be seen in his Naat, which he wrote in Praise of the Most Exalted of all Creation, Sayyiduna Rasoolullah SallAllahu ‘Alaihi wa Aalihi wa Sallam. 6. Majmua Fatawa and etc. Huzoor Hujjatul Islam Radi ALLAHu Ta’ala Anho was also Saahib-e-Karaamat, meaning that he performed various miracles. His greatest Karaamat however, was his firmness on the Shariah and his adherence to the Sunnah of Nabi Muhammad SallAllahu ‘Alaihi wa Aalihi wa Sallam. A few of Hadrat’s Karaamats are being quoted for the sake of attaining blessings. Once, a few teachers from the Madrassa decided to resign. They thought that they were indispensable and that none would be able to teach in their absence. The Karaamat of Huzoor Hujjatul Islam Radi ALLAHu Ta’ala Anho was that he taught all the students all the subjects, with even more insight than was given by any other teacher. The scheme of the teachers failed hopelessly and even more students enrolled at the Madressa after becoming aware of the high level of education being attained by students under the tutorship of Hujjatul Islam Radi ALLAHu Ta’ala Anho. Haji Muhammad Ismaeel bin Haji Abdul Ghaffar Saahib reported that once Hujjatul Islam went to Madanpura. After Salaah, he was asked to make Fateha at the Mazaar of one of the Awliyah Allah whose Mazaar was on the Musjid property. Hadrat lifted his hands for Duaa, and after a few moments moved back and said that the Grave in the Mazaar was not in its original place. The people were astounded and informed Hadrat that they had moved the spot of the actual grave slightly, due to the shortage of saff space. Hadrat explained to them that this was improper, and that it should be rectified. Subhanallah! Hadrat was blessed with the mystical power of removing Jin and Aaseb (evil spirits). Once while Hadrat was in Banarus, many people heard of the mystical power possessed by him and thus crowds of people arrived to take his Duas. He asked for some clothing of all those with such problems to be placed in front of him. He looked once at the clothing and then only removed a few and said, “Only these people are effected, there is nothing wrong with the rest of them.” He then prayed with the clothes in front of him, and in a few days, all those with these problems were fully cured. Also during this time in Banaras, there was a person who had such a strong jinn controlling him that he used to run on the roofs of high buildings, late at night. His family was very worried and brought him to Huzoor Hujjatul Islam Radi ALLAHu Ta’ala Anho, who made dua for him. The Jinn, which was affecting him immediately made touba and left him, and the person was cured for good. 1. 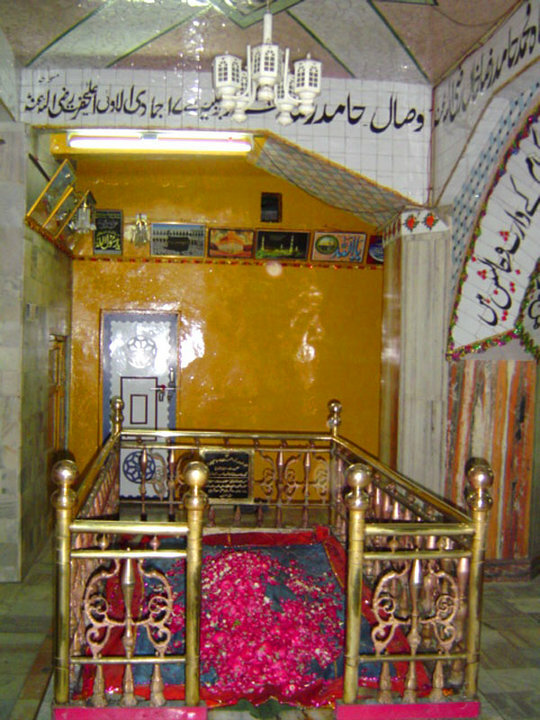 Mufassir Azam Hadrat Ebrahim Raza Khan Radi ALLAHu Ta’ala Anho also known as Jilani Mian. He is the distinguished father of Taajush Shariah Allama Mufti Mohammed Akhtar Raza Khan Qaaderi Azhari. Hujjatul Islam Radi ALLAHu Ta’ala Anho travelled from this world into the hereafter on the 17th of Jamadil Ulaa co-inciding with 23 May 1943 in the condition of Namaaz, in Tashahud position. The demise of Hujjatul Islam was a sore loss to the entire Sunni community. A loss that was felt throughout the world, as the bright shining sun of A’la Hadrat Radi ALLAHu Ta’ala Anho had come to set. Hundreds of thousands of devotees and Mureeds gathered for his Janazah Salaah, which was performed, by his Khalifa, Muhadith-e-Azam Pakistan, Maulana Sardaar Ahmad Radi ALLAHu Ta’ala Anho. His Mazaar-e-Paak is beside his blessed father Sayyiduna A’la Hadrat Radi ALLAHu Ta’ala Anho. Every year during the Urs, thousands of devotees gather at his Mazaar to pay tribute, to a Faithful Servant of Allah, A True Devotee of the Prophet SallAllahu ‘Alaihi wa Aalihi wa Sallam and an Aalim and Saint of his time. May Almighty Allah bless us with his Fuyooz and Barakaat always.